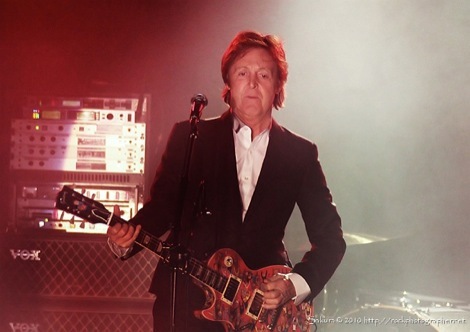 WATCH Paul McCartney debut new song Cut Me Some Slack with Nirvana’s Dave Grohl and Krist Novoselic during the 12-12-12 Concert for Sandy Relief at New York City’s Madison Square Garden. 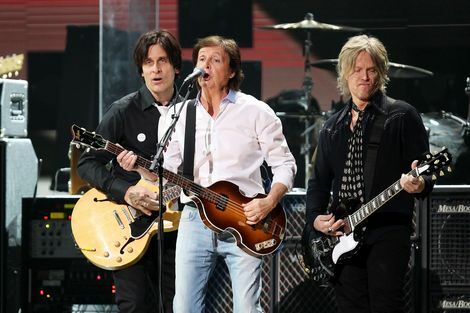 Paul McCartney and Nirvana trio Dave Grohl, Krist Novoselic and Pat Smear (touring member) debuted a new song Cut Me Some Slack during the 12-12-12 Concert for Sandy Relief at New York City’s Madison Square Garden. During the charitable event, which lasted for over five hours, artists such as Bruce Springsteen, Kanye West, the Who and the Rolling Stones performed for a worldwide audience. 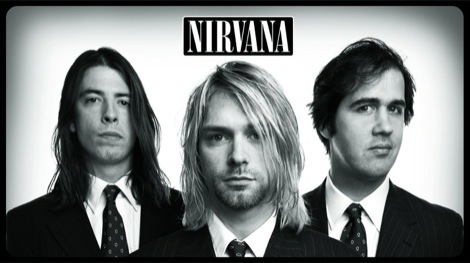 Earlier in the day, there were rumors that McCartney would be singing the late Kurt Cobain’s parts for some Nirvana covers, but the collective instead performed an original track that they had written during an impromptu jam session. Bassist Krist Novoselic tweeted earlier that the song was “kind of ‘Helter Skelter’ meets ‘Scentless Apprentice.’ It rocks with a heavy groove. St. Paul is powerful.” Novoselic also tweeted out the above photo of himself with Grohl and Smear. ‘Helter Skelter‘ ended up being the first song Sir Paul played, followed by Let Me Roll It, ‘Nineteen Hundred and Eighty-Five‘ and ‘Blackbird‘ among others before the one-time Nirvana musicians joined the Beatles legend. After introducing Grohl, Krist Novoselic and Pat Smear to the stage, the quartet tore into a thick and bluesy track called ‘Cut Me Some Slack’. Cut Me Some Slack will be included on the soundtrack of Grohl’s new movie, Sound City Movie. Watch it below.